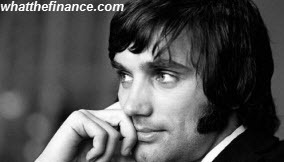 George Best is famously quoted as saying, “I spent 90% of my money on women, drink and fast cars. The rest I wasted.” That neatly sums up most people’s opinion on why so many rich footballers end up declaring themselves bankrupt. David James, goalie for Liverpool, Aston Villa and England, is the latest to join their ranks. Despite his huge salary and a lucrative modelling career, he declared himself bankrupt in May due to money owed to the Inland Revenue. 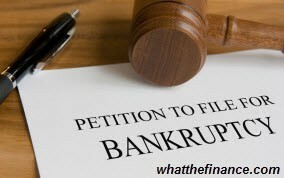 According to sports charity, XPro, around three in five professional footballers declare bankruptcy in the first five years after retiring from the sport. They also claim that this is not due solely to decadent and irresponsible behaviour. Of course, some footballers, like George Best, just pick up bad habits that end up eating away at their vast fortunes. One such, is Keith Gillespie who played for Manchester United and was subsequently financially ruined by his gambling addiction. Gambling was also a problem for Paul Gascoigne but not to such an extent as his other habits which included cocaine, alcohol and cigarettes. Other extravagances include huge tasteless mansions costing between £2 and £10 million, like Phil Neville’s £4million home near Burnley, Lancashire, and a garage full of super cars such as Mario Balotelli’s Bentley Continental which he had covered in a military camouflage wrap. Other popular car choices include Ferraris and Lamborghinis. Spending like this is not sustainable and many young footballers do not think to save money for the future. Wealth advisor, Peter Kelsey, puts this down to footballers often being poorly educated and having bad role models. However, some footballers do try to be responsible but fall foul to their own naivety and inexperience in dealing with large sums of money. A report in the Telegraph stated that rich young footballers are often targeted by unscrupulous people who give them bad advice and lead them to make bad investments. Lee Hendrie, once a successful young player for Aston Villa, England and other teams, went through a stage of earning around £30,000 a week but eventually was declared bankrupt and attempted to commit suicide on two occasions. His downfall, according to the BBC, was down to bad investments made in properties that he struggled to sell and a very expensive divorce. Even Keith Gillespie states that it was not just gambling that lost him his money, it was also investing in film schemes, which a lot of footballer bought into, that turned out to be a loss. It is doubtful that the majority of footballers who lose everything are not guilty of some recklessness with their finances but it is clear that that is not the whole story. With the average Premier League salary set at around £23,000 a week, more than many people earn in a year, and wages for Championship footballers being around £5,000 a week, there is not a great deal of sympathy for footballers who end up insolvent. Comments on the David James story on the Daily Mail website show that people think that, if footballers don’t invest wisely for the future when they have the money, then it is their own fault when they lose it. There were also a large number of comments about ‘gold digging’ wives who should have been avoided in the first place. Generally, the sentiment was that, as normal people would not expect help and sympathy if they lost everything they had through their own irresponsible behaviour, then footballers should expect the same. Entry was postedon Thursday, August 7th, 2014 at 9:28 pm	under NewsWire Category.You can skip to the end and leave a response. Pinging is currently not allowed.